Cathedral Square Corporation is a non-profit developer providing affordable, senior housing with common space and support services to allow seniors to live independently as long as possible. The project designer had worked with them on several earlier projects, all quite energy efficient. They were excited when they responded to our passive house advocacy – but given limited funding, Cathedral Square could only do it if it didn’t cost anything additional from standard. Eventually they did secure some additional funding to cover the 2% gap. 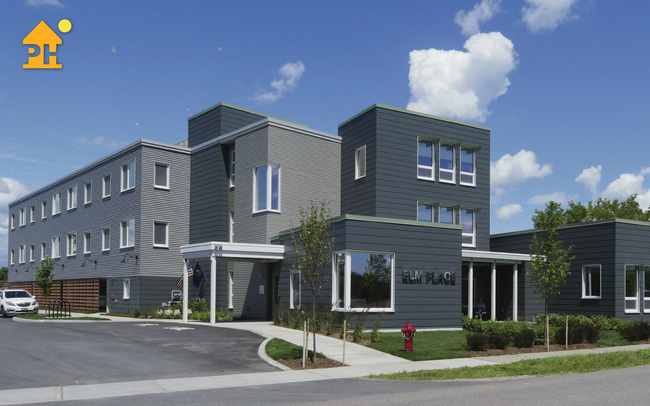 This is the first certified, multifamily passive building project in Vermont. The program was to develop 30 affordable residences on a long thin, seemingly unpromising, suburban site; the first project in the Town of Milton’s newly designated downtown, pedestrian friendly core.